Well, folks, after eight long weeks of hitting the streets with clipboards and petitions, we are happy to say that we've gathered well over a thousand signatures, registered nearly one hundred voters, and are ready to turn in our nomination paperwork! Here at the campaign we are so proud of our work. 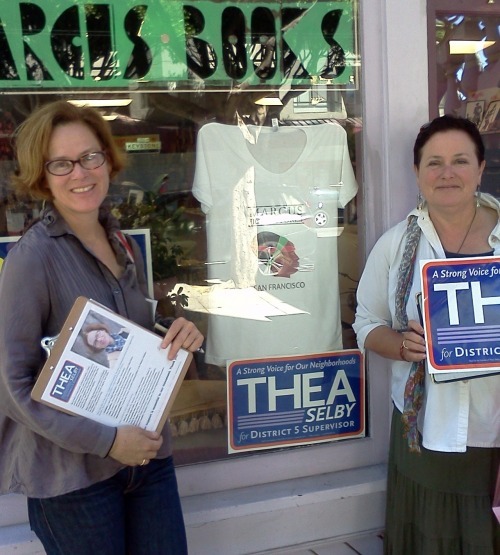 Ours was an all-volunteer effort: over twenty-five people headed out to the neighborhoods of District 5 for two months straight, motivated solely by their investment in grassroots politics and the good work of a first-time candidate. So, thank you to the wonderful work of (deep breath here) Brian, Lynn, Cristina G. and Cristina A., Edgar, David, Barbara F. and Barbara S., Laura, Hilary, Sam, Jamie, Amelia, Catherine, Pamela, Robin, Arthur, Arnie, Rob, Lauren, Vicki, Neeka, Tom, Shawn, Henry, and Deborah — as well as to the thousand folks we spoke to who were willing to hear about Thea's cause and help us out with a signature! After turning in our signatures, we were ready to kick back a little. What better way to do it than head to the 10th Anniversary Party of the San Francisco Women's Political Committee? 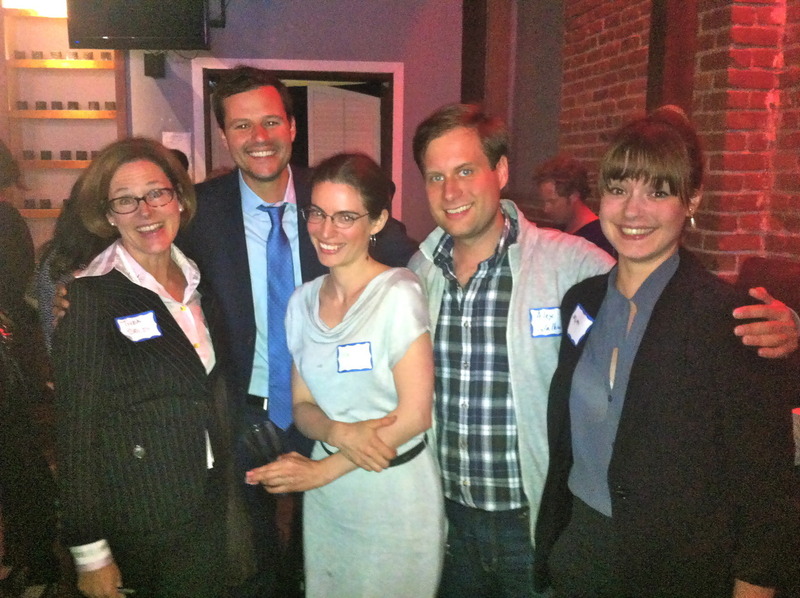 Held at the always-great venue of the Brick and Mortar Music Hall, this was one of our favorite campaign events so far. VIPs of the San Francisco political scene were in attendance, including Senator Mark Leno and several sitting members of the Board of Supes and the DCCC. We're re-energized now and ready to get back to work. If any of you want to help us out as we go door-to-door walking and knocking, fill out the volunteer form here! And if you want to pitch in to help us get new clipboards (they're looking a little sad after eight weeks of hard use), you can always donate.